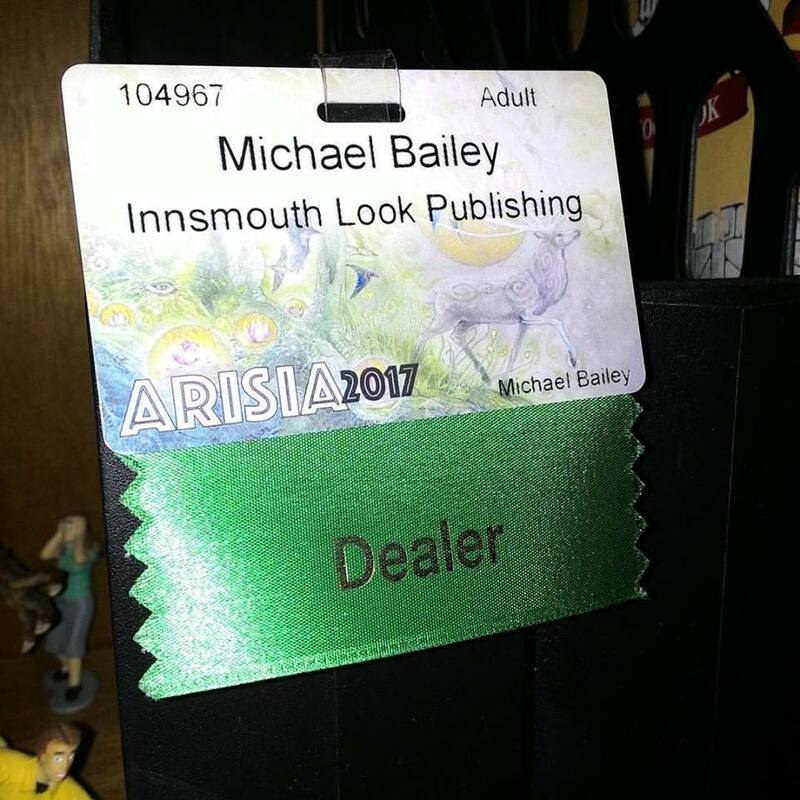 Arisia 2017 is a wrap! This year’s show, unfortunately, wasn’t terribly successful from a financial perspective. Sales were below last year’s, for both me and my tablemate J.M. Aucoin, but I got to participate in four panels over the weekend, and those were a lot of fun — and educational, for the attendees and for me. I picked up a few new techniques and learned some new approaches to writing, which I’ll never complain about. Nor will I complain about the fact my last sale of the weekend was to a young girl who walked away hugging her new copy of Action Figures. That made an otherwise slow day totally worth it. Action Figures – Issue Six: Power Play and Action Figures – Live Free or Die: Edited, formatted, awaiting cover art. Speaking of which, check out this color rough of the back cover art, which features Megawatt Quantum, who plays a prominent role in book six. 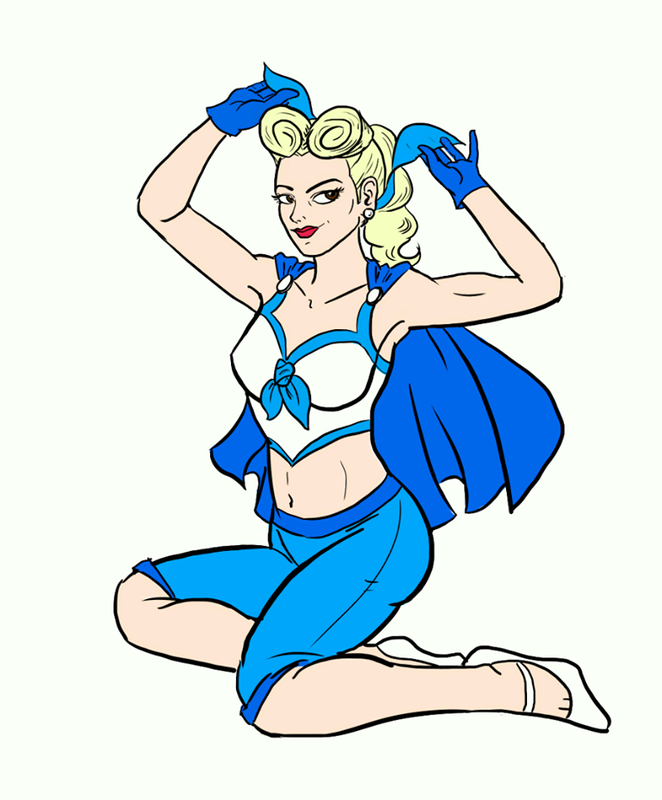 I thought it’d be fun to portray her in the style of a WWII-era pin-up girl, a nod to her penchant for retro fashion. Tricia has some fine details to add but this is basically what you’ll be seeing on the back of book six. Remember, folks, I am making a small number of advanced reader copies available, so if you’re interested, drop me a line and let me know. I can give you full details then, but I’m looking for people who have read the entire series to date (book six pulls heavily from other events in the series, especially book one), can read book six before it’s released to the public in late February/early March, and will post a review on Amazon, Goodreads, and/or their own personal websites, so serious inquiries only, please. ARC readers will get a finished copy of the book when it’s released in their preferred format. Action Figures – Issue Seven: The Black End War: First draft finished. Action Figures – Issue Eight: Crawling from the Wreckage: First draft in progress. Arisia took up my weekend so nothing got done on this or anything, but I hope to get back to it soon. Action Figures – Issue Nine: Rough plotting in progress. The Adventures of Strongarm & Lightfoot – Blades of Glory: Rough plotting in progress. Action Figures – Issue One: Secret Origins: Audiobook recording in progress. February 17 – 19: Boskone at the Westin Waterfront Hotel, the same location as Arisia. Saturday, September 16: The Connecticut Renaissance Faire in Lebanon, CT (time and exact location TBA). Book recommendation time! 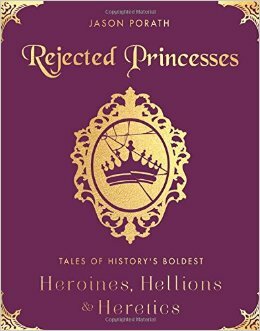 I’m currently reading Rejected Princesses: Tales of History’s Boldest Heroines, Hellions, and Heretics by Jason Porath, partly for fun but partly for research and inspiration for one of my future projects (currently going by the working title of The Well-Behaved Women Trilogy), and I wholeheartedly encourage everyone to give this book a try. And you can keep up with Jason’s ongoing Rejected Princesses project at his website, on Facebook, and on Tumblr.